These bordering countries are criminally overlooked by most tourists, but they have an enormous amount to offer anybody willing to take a little time out of their schedule to visit. A great thing about these countries for anybody spending some time in Costa Rica is that many of the best sights in Nicaragua and Panama are within a day’s reach. Most tourists aren’t really aware that they are so close and accessible, but it means you barely have to make any adjustments to your itinerary or budget to squeeze in a trip. The lack of tourist awareness also means far fewer foreigners actually visit these areas, so a trip to them can feel a lot more adventurous and authentic. So, if you’re interested in visiting Costa Rica (and if you’re not then you should be! ), then here are some of the highlights of the bordering countries for you to check out. 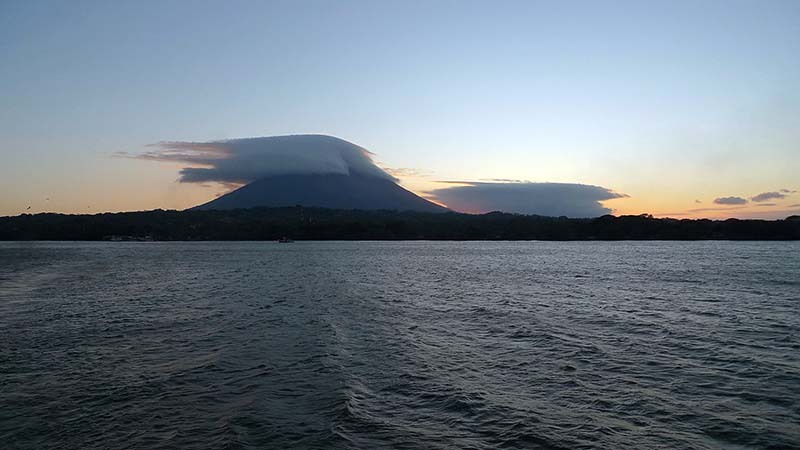 One of the most awe-inspiring sights in all of Central America, Ometepe is an unmissable stop on any trip to the region. It’s conveniently located only a few dozen kilometers north of Costa Rica, so is very easily accessible for anybody, even if you’re on a tight schedule. It is a natural island, made from 2 imposing volcanoes right in the middle of the enormous Lake Nicaragua (which itself is also a must-see sight). At around 30 km long and 10 km wide, it is large enough that it is inhabited by as many as 30,000 people. You can visit the island to see what life is like, but the most impressive way to experience it is probably just to gaze at the mighty volcanoes jutting out of the water from the shore of the mainland. Enjoying a tropical sunset here is simply unmissable. León is the 2nd largest city in the country, with a population of over 200,000, so there is plenty for tourists to see and do. It is a bit further afield than the previous 2 sights, situated in the far northwest of Nicaragua. However, it’s still within easy reach of Costa Rica, so that shouldn’t put you off visiting. One of the top reasons to visit León is to see the ruins of old León, or León Viejo, a UNESCO World Heritage Site. Besides the ruins, there’s the colonial architecture, museums, and vibrant modern culture to entice visitors. 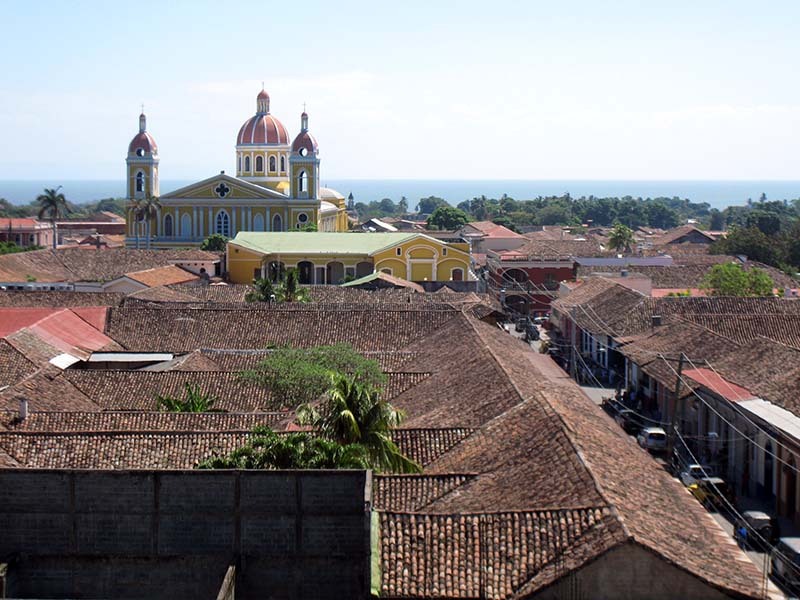 Situated on the northwestern shores of Lake Nicaragua, Granada is a substantial city with a population of over 100,000. Being next to Lake Nicaragua, it is again very reachable from Costa Rica, making it the perfect place for a short excursion, even if you’re tight on time. The city was an important colonial settlement, and this can be seen in a large amount of Spanish-influenced architecture. Granada is well worth a visit, with its beautiful historic atmosphere, vibrant culture, and a developed tourist industry. Walking around parts of the city gives you a wonderful sense of the fusion of old and new cultures, and can be a very insightful experience. These tiny islands just off the eastern coast of Nicaragua are a dreamy tropical island getaway and an excellent place to waste away some blissful time in the sun. Enjoy the laid-back lifestyle and spend your time exploring the warm waters teeming with all kinds of sea life. There might not be a whole lot to do on the islands, but that’s kind of their charm. They make the ideal place to sit on the beach with a book and listen to the gently lapping waves. The Panama Canal is a marvel of human engineering that has had an enormous impact on the world’s economy in its 100 or so years of operation. The canal slices through the land to make a 77 km passage for ships between the Atlantic and Pacific Oceans. Importantly, this allows trade ships to deliver their cargo significantly faster than was possible previously as they can entirely bypass the huge landmass that would otherwise be in the way. A visit to the canal is worth it if only to be amazed by the fact that humans were able to carve through the land in such a dramatic way. 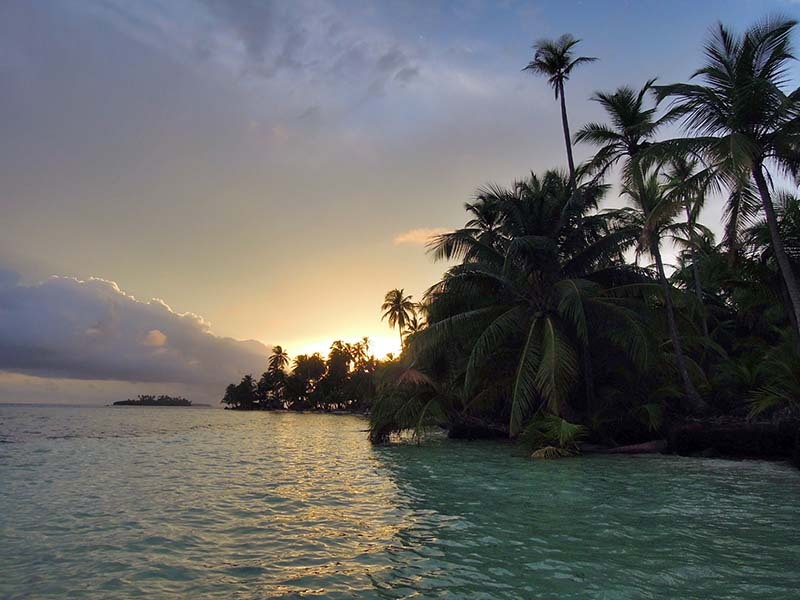 This group of over 300 small islands is located off the northern coast of Panama. They’re a little more difficult to get to than some of the other options, but the extra effort is worth it and they’re still reachable within a day from Costa Rica. They are quite unique in that the tourism to the islands is controlled largely by the indigenous Kuna people. The islands are stunningly beautiful, and the fact that they’re tourism is kept at manageable levels makes them a serene and peaceful place to spend a few days. You would struggle to find such quiet, undeveloped islands like this anywhere else in the world, especially ones that are so accessible from more developed areas. 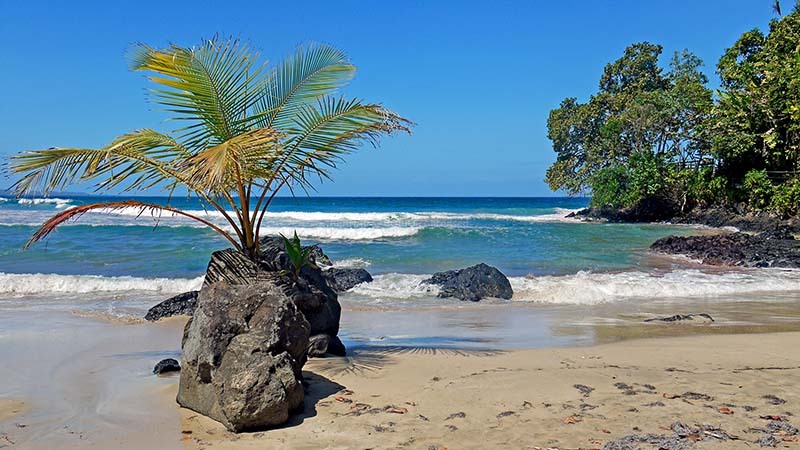 Bocas del Toro, or ‘Mouth of the Bull’ is a province of that directly borders the southeastern edge of Costa Rica, making it an easy excursion. The province is made up of several islands, as well as part of the mainland, so there is a lot of variation for tourists to enjoy. A highlight of any visit to the province is the fabulous Parque Nacional Marino Isla Bastimentos, as well as the UNESCO World Heritage, listed Parque Internacional La Amistad. While Costa Rica is an exceptionally good tourist destination, the surrounding countries should certainly not be overlooked. So, if you’re in Costa Rica and looking to do something a bit different, why not give these places a try?